If you have ever seen a snake before, even if it is in a photograph, you are probably well aware that these are some of the most unusual creatures on earth. Even among fellow reptiles, the snake stands alone in terms of the way in which its body is designed. 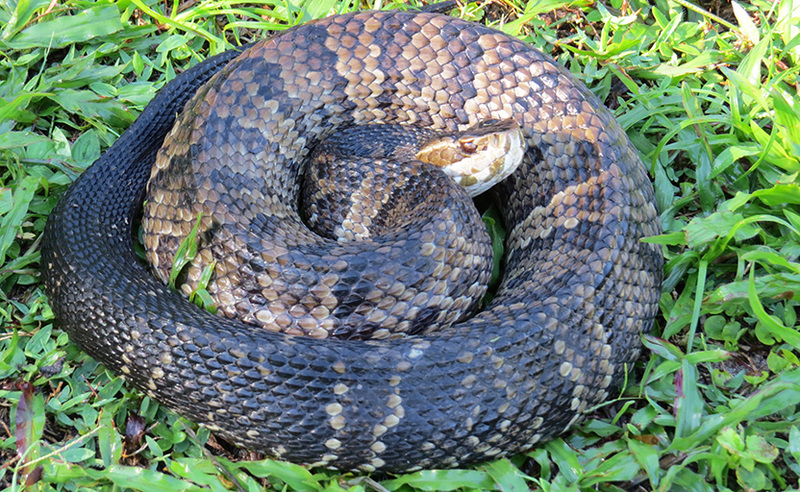 All other reptiles have appendages that assist them in being able to get around, but this is not true of the snake. Its cylindrical body is lined with a series of very strong muscles that enable the snake to contract and extend so that it can quickly move around to get from one place to another. Some are so enamored with the way that is snake looks and acts that they find themselves curious about a great deal related to the snake’s anatomy. One thing that is commonly asked is if snakes have bones? That’s a good question. It is easy to believe that a snake would not have bones to its body, at least beyond its head area. By the way that this animal is able to contract and extend, much like an accordion would look, it isn’t too far-fetched to believe that bones are unnecessary for the rest of its body. It’s not like it has appendages, so it doesn’t need fingers or bones to help it to maneuver. It doesn’t look like it has a spinal cord that helps to keep its structure and support it when standing. So, it would be a very common idea to think that a snake simply doesn’t have bones. That just as in the case. You may be fascinated to know that in some species of snakes there are actually over 400 bones that are present in the reptile. As a reference, a human being has 206 bones which vary in size and shape. That’s about half as many as you would find in some species of snakes. That just seems unreal to some people. If you have ever seen a snake that has died and has gone through decomposition, you probably noticed that one of the things that always remains is the skull area. This makes it easy to see that at least in the head there are a series of bones that make up the head area for the snake. It not only has jaws, but bones fuse together to form the cranial area that surrounds and protects the brain. This is true of virtually any animal that you will find on earth. Bones in the skull are intended for support and protection, especially for the brain of the organism. Without these the animal would be in danger of serious injury that could come from just bumping its head, something that would be incredibly detrimental. Just think if you did not have a skull, the kind of damage you could do to your brain. By the way some act it seems that many don’t have a skull to protect their brains. However, this is not the only area on a snake that has bones. There is a backbone in the snake, something that is present in all animals that fall into this class. you will also find that the snake has vertebrae and ribs. This helps to support the structure of the body, and more importantly it is the area where the muscles connect so that the snake can move around. Without these muscles, it would be unable to get around. This also explains why a species of snake can have a much larger number of bones than others. The longer the snake is the more bones it needs to support its frame, and this is why there can be 400-plus bones. For more information about Do snakes have bones, go to my Snake Removal - How to Get Rid of Snakes home page.